Oscar is two years old and full-swing into his young cat-hood. He is a blaze of puffy orange fur, bounding from cat tree to chair to the table, a perfect blend of sweetness and feistiness. His daily activities are those of any cat; zooming at the sound of the can opener, stalking—with perfect hawk-like accuracy—any bug that may creep into the house, playfully tormenting his older cat-siblings, indulging in his favorite game of catch-the-cat-wand and proudly retrieving it for us to do it all over again. At the end of the day, he, like any cat who does, will seek you out, clamber up next to you on the couch and enjoy a good snuggle. 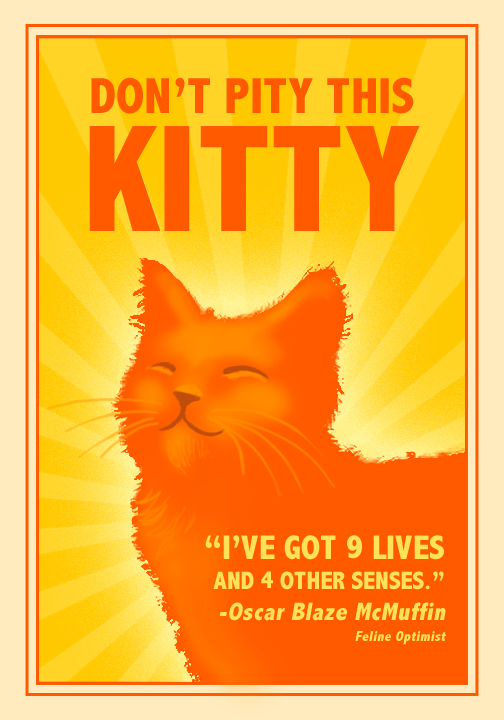 Except Oscar is not like many other cats. 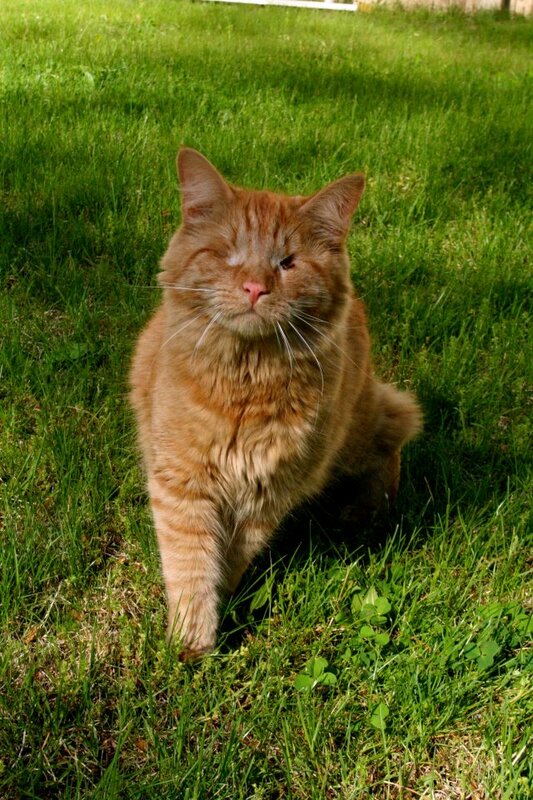 Oscar has no eyes. My very first meeting with him was a harried moment when he was handed over to me, having just been found by a Good Samaritan who knew little English. 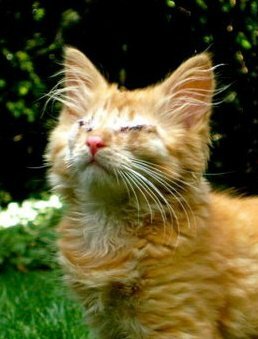 When that tiny kitten body was put in my palm, he was emaciated, sickly, battling a severe upper respiratory infection and his eyes were so badly diseased that it was clear he was already blind. 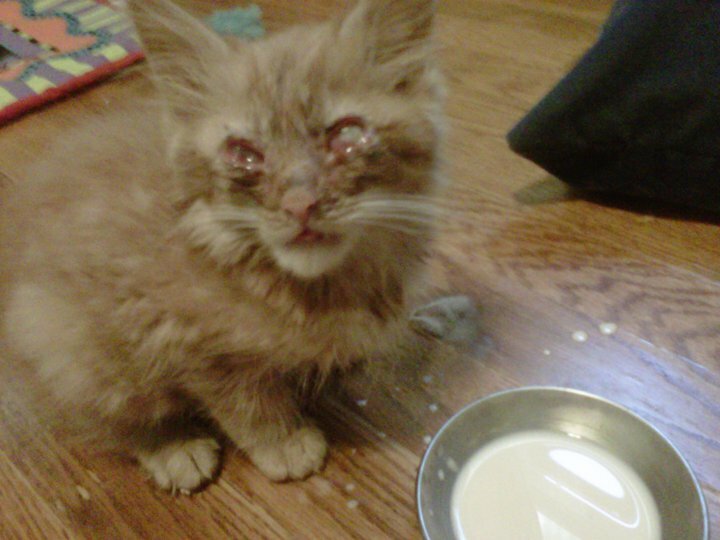 I thought there was no possible way this kitten was going to survive. He ate, he purred, he groomed his dirty little face. 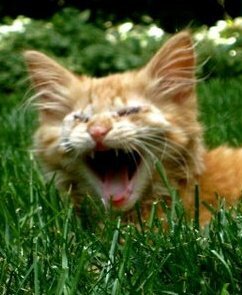 His fur was so dull in color, his nose so snotty, and his eyes so bulging and eerie it was hard to look at them; he was the only ugly kitten I have ever seen. But he rallied. And that, not his blindness, is what amazes me about him. Though it wasn’t our original intention, shortly after coming in to our family, we knew he wasn’t leaving. 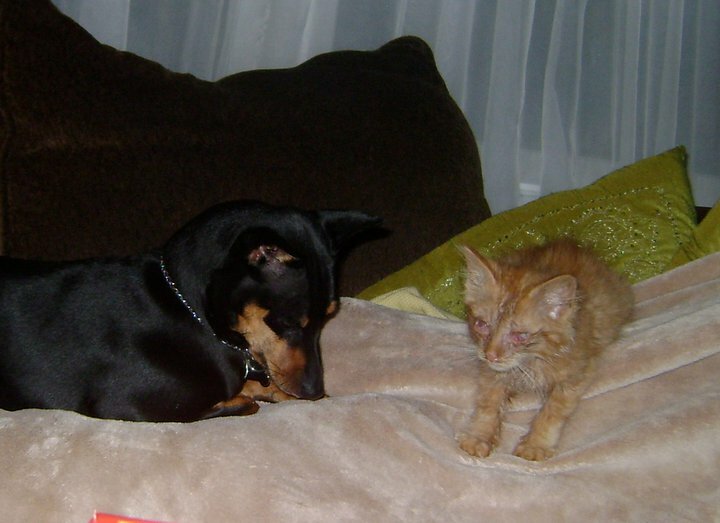 Nursing Oscar back to health proved to be delicate and emotional, but his spirited personality flooded our hearts. 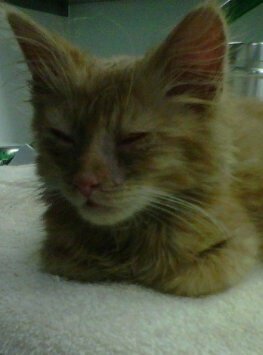 Even through multiple eye medications several times a day, diarrhea from the antibiotics, to a severe case of glaucoma so painful that he could barely lift his head, he kept going. He still purred, he still ate, he still cuddled, and he still played. Nothing about this little cat wanted to give up. So even in the tough moments when I pitied him, how on earth could I give up on him? I couldn’t. Oscar has never had any pity for himself, thus, my pity for him was short-lived. 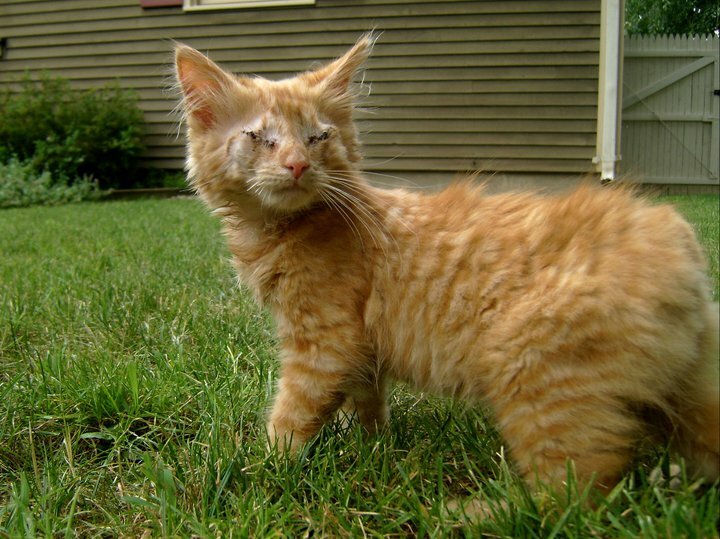 Yes, he eventually lost his eyes, despite our efforts to save them. So, yes, technically he is blind. I’ve learned, however, that this fact cannot define him. 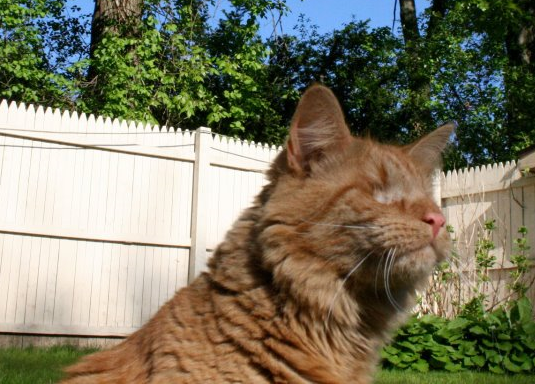 Oscar does not know what ‘being blind’ means. 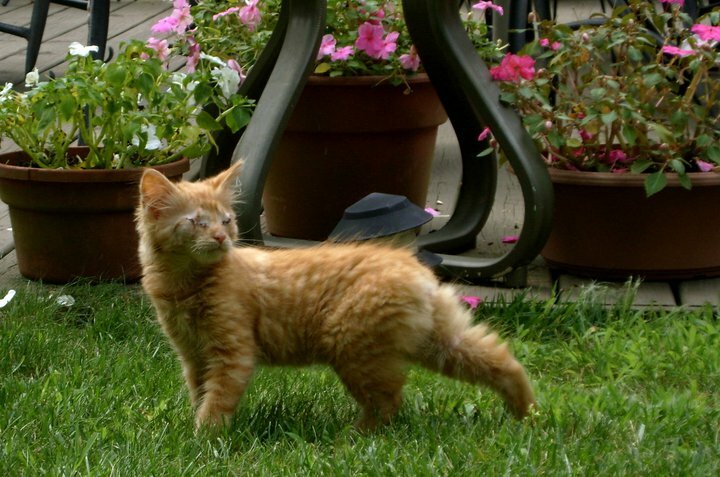 He only knows that now he can run around and play, just like he knew he wanted to. He knows he will be the first cat to jump up on the newest piece of furniture. He knows he will stalk and catch that bug on the floor. And he knows to perk his ears up the moment he hears the slightest crinkle from that shimmery cat wand. He knows mealtimes and a full belly, the occasional tickle of grass under his paws, the warmth of the sun shining through the window. He knows the softness of fluffy beds and tender hands and kisses. He knows love. An abundance of it. He knows other ways of seeing things, without having to use sight. Isn’t that all there is to know? Look how far he has come!